It’s that time of year again! No, not Christmas…It’s the nomination stage of the 9th Popular Airsoft Player Choice Awards (that’s a mouthful). That’s right, Nomination period is now open! So this means, for the next month players worldwide get to nominate their favourite across the 25 different categories. Why Should I bother with the Player Choice Awards? Firstly, it’s about showing support and appreciation to those who help make the airsoft industry a better place. On top of that, it doesn’t cost you anything. Secondly, It helps show Airsoft in a more professional manner, even if one of the categories is known as the Best KaBoom Award! Finally as a player you’ll be entered into huge raffle…for free! *This will all be confirmed in January But last years prizes were awesome! From the 26th of November the Nomination Period opens up for one month, where players worldwide can vote for any nominees. 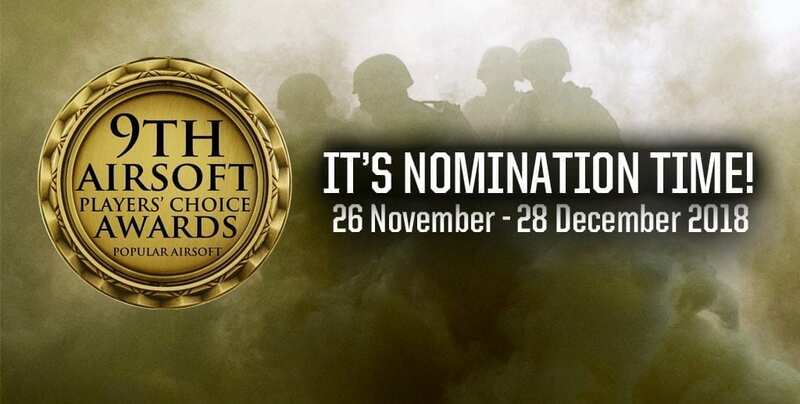 After the 28th of December the Nomination Process closes and Popular Airsoft collate the information into the Voting Period. In January (7th) , the Voting Period opens up again but this time the categories only contain the top 5 voted. So on a clean vote, players have to pick 1 of the 5 nominees to win the category. Most votes win so anyone who’s in the voting stage has 1 month again to get as many votes as possible. The Voting period closes on the 4th of February with winners announced at the end of February. 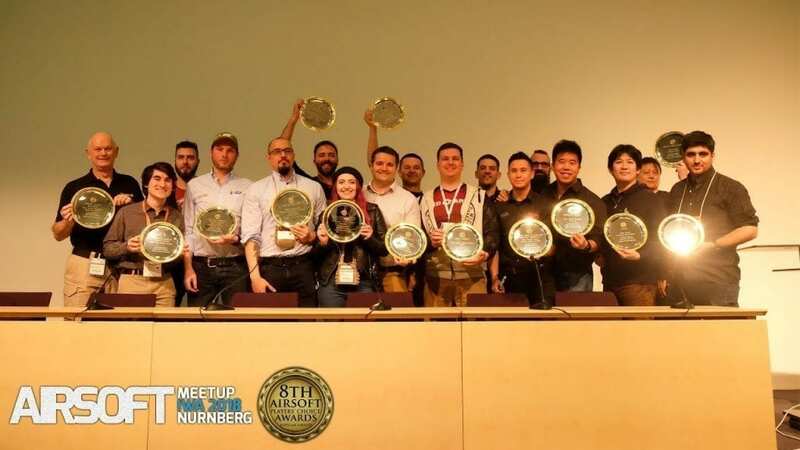 Winners announced, the prize ceremony then takes place at IWA, (the largest airsoft trade show in Europe) in March. What are the Popular Airsoft Categories? There are 25 Categories, split into 4 main sections Retailers, Media, Community and Manufacturers. Don’t forget, you can skip any categories if you don’t know or want to vote in them. I’ll be putting together my predictions of the 9th Player Choice Awards later this week. As I said, I’m going to break down each of the categories with my own highlights and winner predictions from my thoughts this year, until then please head over and vote in the Popular Airsoft: Player Choice Awards. Remember, you can skip a category if you can’t answer it. ps: If you like what I’ve done through the year, throw my name in the hat under the Best Airsoft Blog (Any Language).